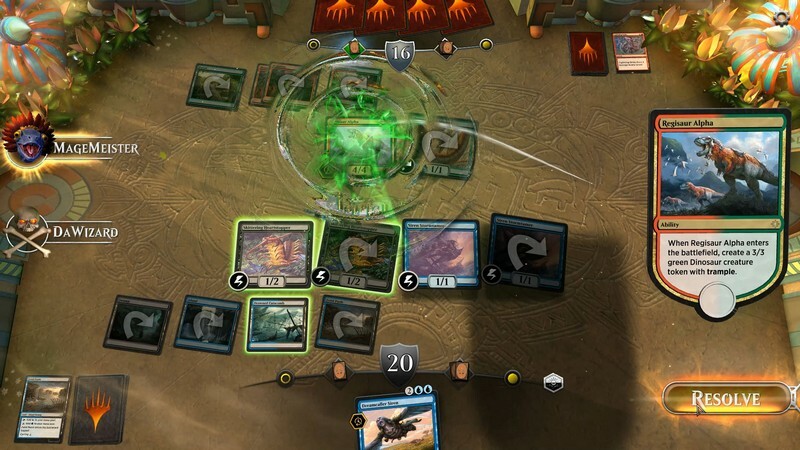 Magic: the Gathering Arena (MTG Arena) is a free-to-play fantasy strategy game developed by Wizards of the Coast. 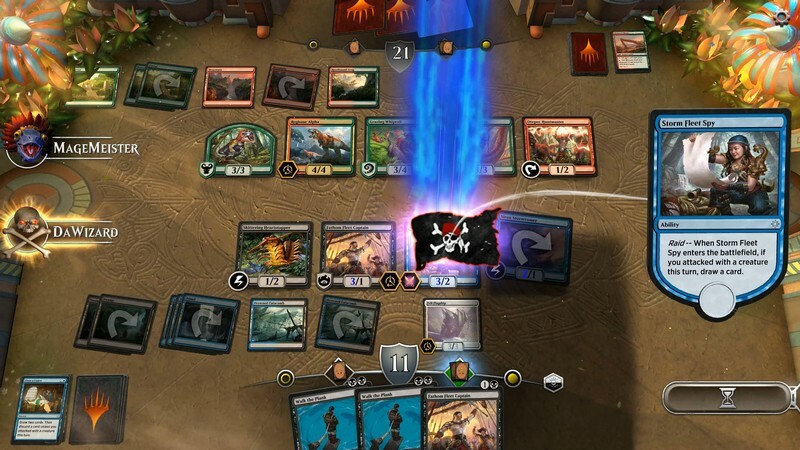 MTG Arena translates the rich world of Magic into a modern gaming experience, pairing it with exquisite visuals and easy access on PC. 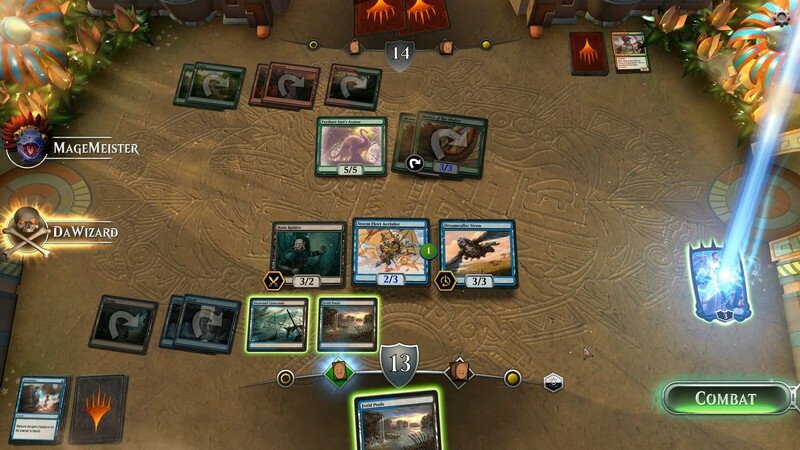 With all the depth, rules, and choices fans love, plus the striking and easy-to-understand visuals, MTG Arena promises to deliver an exciting new addition to the Magic franchise. 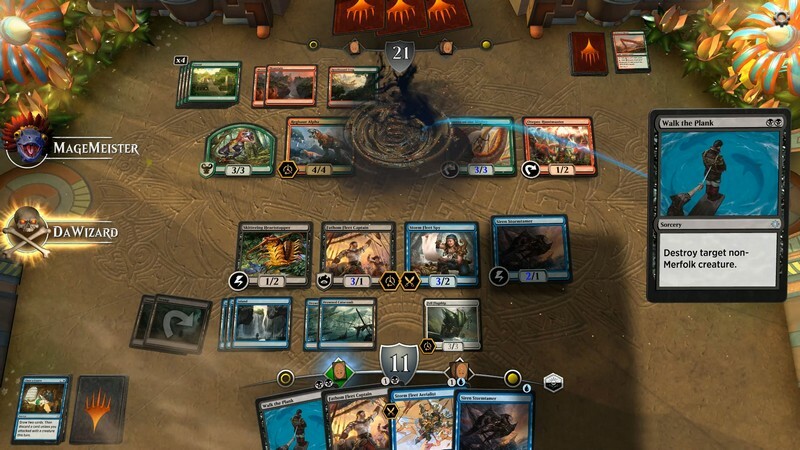 Enjoy the classic game you've grown to love, stream your matches, and help MTG Arena realize its potential as a competitive powerhouse! 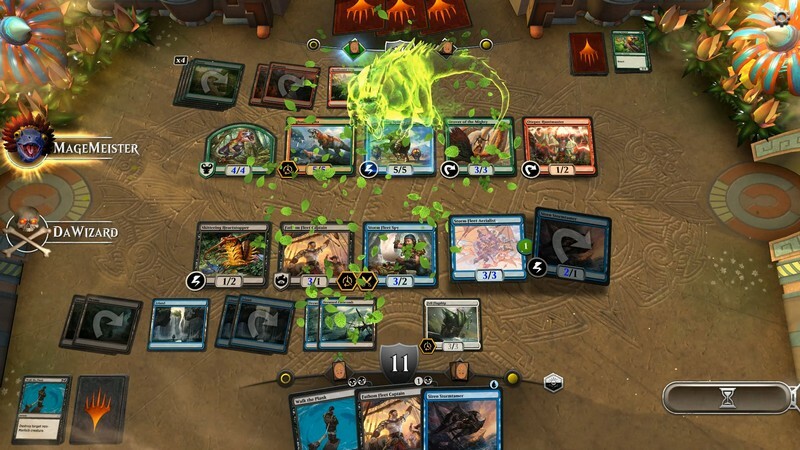 Old and New Cards: Upon release, MTG Arena is going to feature the full card sets in Standard with the intention of adding around 1,000 new cards each year. This means you'll be seeing some of your favorite cards mixed in with new arrivals! 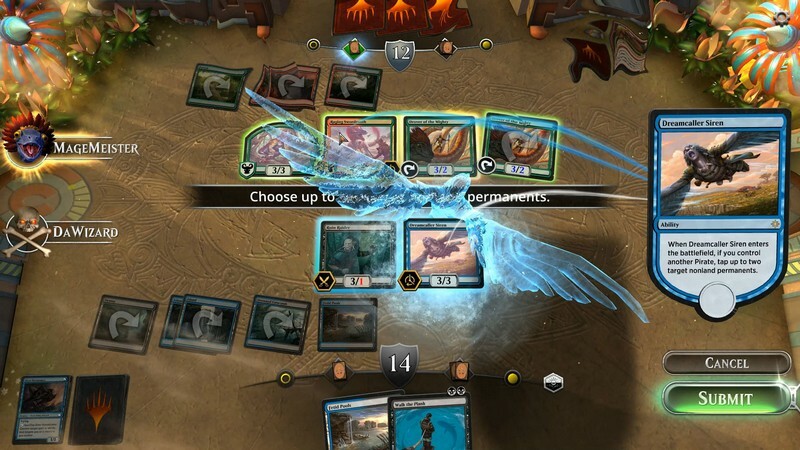 Changing Gameplay: The new Game Rules Engine created specifically for MTG Arena can handle any possible card that can be dreamed up, unshackling the possibilities for industry-leading designers to create cards around new mechanics and wildly fun concepts. This means gameplay will not just stagnate and has the possibility to evolve in a number of different ways. Battle Experience: With epic visuals illustrating how your cards battle and awesome sounds depicting attacks the game will be easier than ever to follow while providing more ways to interact with the evolving content of the game. Streaming: Streaming is intended to be a large part of the game and help tie the Magic community together. With exciting visuals and audio the game will only be even more exciting for everyone to spectate.